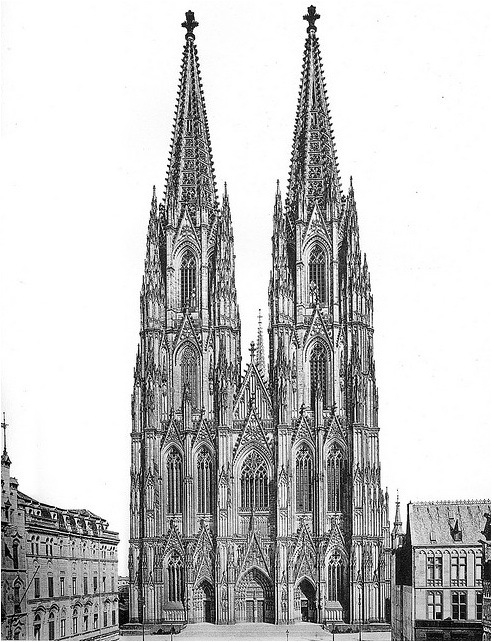 The Cologne Cathedral has a long and interesting history that spans through many centuries. Work at the cathedral was started in 1248, but the site of the cathedral was used before that time too. 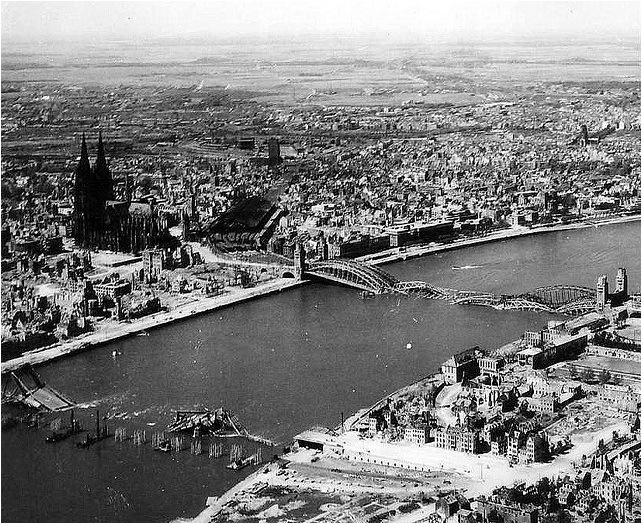 Excavations undertaken after World War II yielded some new information about the history of Cologne Cathedral. The earliest traces of a Christian church can be dated to the 4th century, and the piscina of a baptistery probably dating from the 6th century is also well preserved. In the mid-6th century the small church, orientated towards the west, was extended and provided with an east choir. Around 800, after further alterations, the building was almost 100 m long, with an east choir and schola cantorum, and a raised west choir surrounded by a circular atrium, as shown in the St Gall Abbey plan. In the 9th century the church was completely rebuilt at a level 2 m higher and consecrated on 27 September 870. The Carolingian cathedral was 94.9 m long and had an aisled nave of 10 bays but with 12 windows on each side. The east and west ends had a transept with a crossing tower and a choir with absidioles orientated towards the east. At the west end were two round bell-towers. Before 965 two outer aisles were added, and c. 1020 a two-storey palace chapel, on a plan comprising a cross inscribed in a square, with three eastern apses, was constructed. On 15 August 1248 Archbishop Konrad von Hochstaden laid the foundation stone for a new building, the work being directed by the master mason Ferhard. By around 1265 the chevet and choir aisles were so far advanced that they could be used for services. The choir must have been completed as far as the east side of the crossing around 1300; a temporary wall closing the choir to the west was finished by 1304 at the latest. The cathedral was consecrated on 27 September 1322. The south aisles of the nave were then being built, but they were executed only up to the height of the capitals. The south-west tower, begun around 1300, was under construction for a century and reached a height of about 50 m.
During the 15th century the north aisles were completed, and from 1506 stained-glass windows were inserted there. The nave and transept were given temporary roofs at a height of 13.5 m, which meant that in 1560, when building work ceased, at least 90% of the total area of the planned building had a roof. Work at the cathedral was not resumed until 1823. In 1842 the foundation stone for the continuation of work on the transept was laid in a magnificent ceremony. The interior was completed by 1863 with help from Frederick William IV of Prussia and the Zentral-Dombau-Verein founded by citizens of Cologne in 1841. On 15 October 1880 the last stone was laid at the top of the 157-m high south-west spire. All the medieval parts of the cathedral were built of trachyte from the Drachenfels, but the 19th-century builders employed sandstones. Shortly after 1900 much restoration became necessary, limestone being used to replace the weathered stonework of the choir exterior. In World War II the cathedral was severely damaged. The interior of the choir was restored from 1945 to 1948, but work on the west end continued until 1956. Restoration of the exterior began in 1952, using a new stone, basaltic lava from Londorf.